Even if you have a previous notion of this city, San Francisco will still surprise. The whole place is alive with positive vibes and there is a real sense of purpose here. The city is always at the front of revolution whether than is social, political or technological. San Francisco is truly cosmopolitan and liberal to its core. As a result the city offers nearly every culinary offering possible whilst the influences of the prohibition mean there is still many a speakeasy and vintage saloon to be discovered. Thanks to the city’s 43 hills and of course the iconic Golden Gate Bridge there is an abundance of Instagram-pic opportunities too. The Luxury Editor has discovered the most fabulous, cool, and down-to-earth hotels in the city. Leave your inhibitions at the door, San Francisco is ready to party. 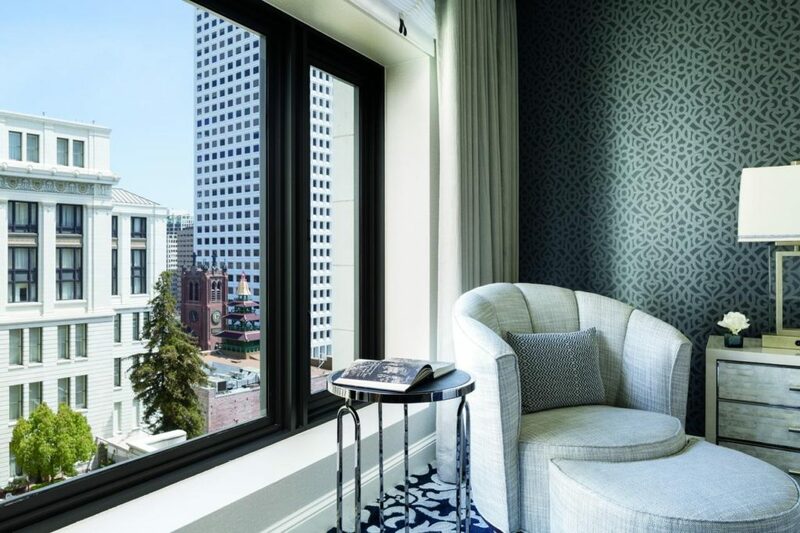 This historic hotel boasts impressive period architecture and one of the best views over the city from its vantage point in the classy Nob Hill neighbourhood. Whilst the InterContinental preserves the luxurious atmosphere and stunning decor dating back to the 1920s, it’s recently undergone a multi-million dollar modernisation and restoration to ensure you have the most comfortable stay. In easy reach of all the top sightseeing destinations, you’ll be able to visit the sights and relax in the beautifully appointed rooms and suites. Head to the rooftop lounge and restaurant, Top of the Mark, to watch the sunset over the Golden Gate Bridge and the Bay Area while you sip cocktails and taste the delectable cuisine. The iconic Fairmont San Francisco is renowned as one of the most luxurious hotels around, offering incomparable customer service. You can dine at any of its three restaurants, offering a variety of cuisine from California-inspired dishes at the Laurel Court Restaurant to Polynesian fusion in the Tonga Room and European cafe culture at Caffe Cento. 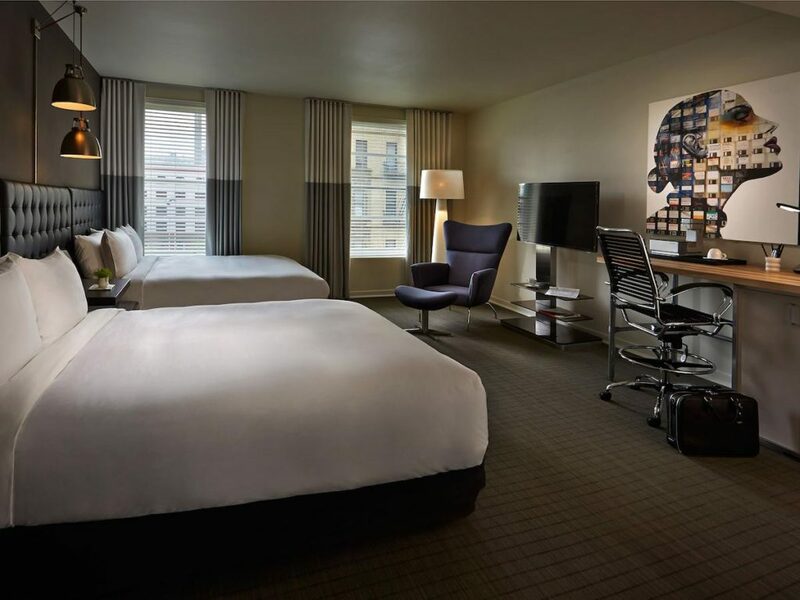 The Fairmont’s location offers spectacular views over San Francisco and with the cable car lines just a few steps away, there’s easy access to Union Square, Fisherman’s Wharf, Chinatown and other famous tourist attractions. You’ll be able to explore the bustling vibrant city and then retire to the peace and serenity of your hotel. Check out the One-of-a-Kind Suites if you’re really wanting to push the boat out and indulge yourself – and why not?! This chic boutique hotel in South Beach, San Francisco will wow you with the personalised services and packages it provides. You can relax and enjoy your vacation without needing to do any planning or stressing about a single detail. 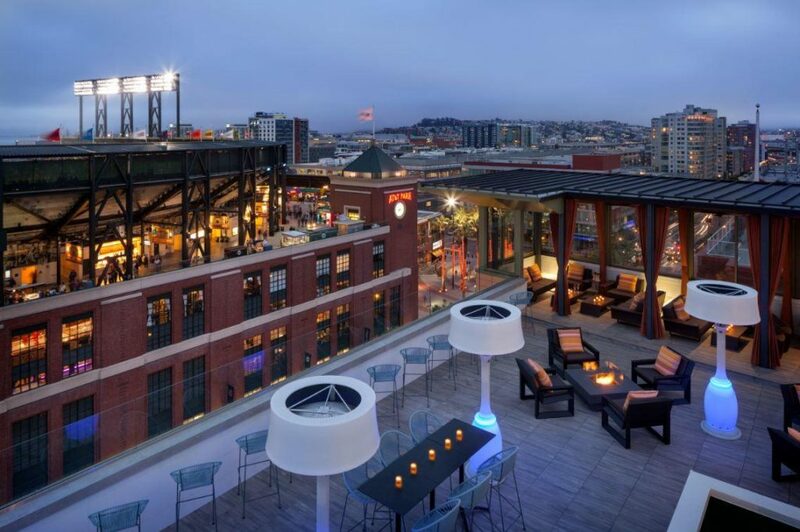 From the San Francisco Giants Experience to champagne and caviar under the stars in the Celebration package, there’s something for everyone. Take in the eye-catching art in the City Room as you breakfast, make use of the high-speed technology throughout the hotel and in each room or use the state-of-the-art Fitness Centre, all whilst knowing that Hotel VIA has ensured that everything from the construction to the laundry is carried out in an environmentally friendly manner. Hotel Drisco, a sophisticated Edwardian building dating back to 1903, will impress you with its excellent service, luxury fittings and little perks like free bicycles to use during your stay. Guests have a distinctly San Franciscan experience here, staying in the friendly Pacific Heights neighbourhood nestled in the hilltops, a short step away from the bustle of the city centre. You’ll be able to help yourself to delicious local delicacies like currant scones with lemon curd, smoked salmon and brie and local hand-made granola from the breakfast buffet and the daily evening wine reception is not to be missed. 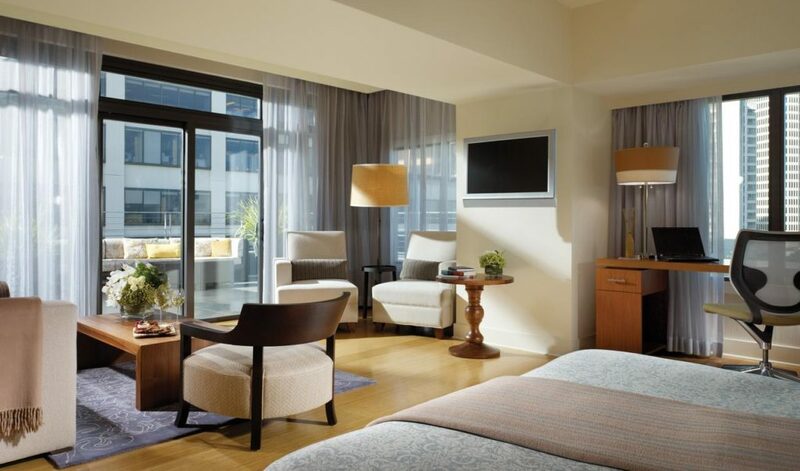 Located in the SoMa neighbourhood, the Hotel Zetta is perfectly situated in central San Francisco. This sleekly sophisticated modern hotel is the ideal place to stay while you take in the city. Whether you’re travelling for business or pleasure, Hotel Zetta will not fail to impress with its unique blend of an elegant historic exterior and a sharp interior design showing off the best of cutting-edge art and design elements. Dine on British staples at The Cavalier brassiere, like fish and chips created from local seasonal produce, play giant Jenga in the Playroom or visit the Burke Williams spa nearby. There are even video games consoles and board games available on request so that you can wind down and relax however you like best. 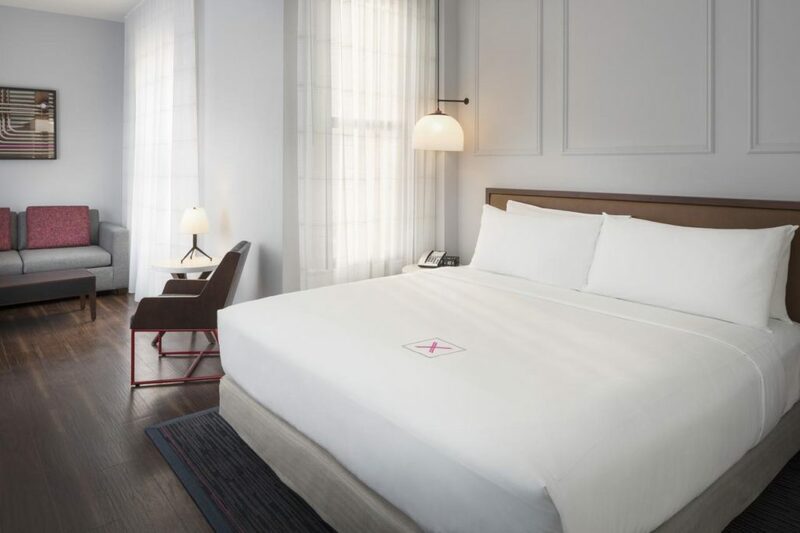 The Axiom Hotel aims to be a fusion of classic San Franciscan architecture and style with the latest technology, connecting culture and history with the tech age. The guest rooms are minimalist and functional but also comfortable with all the tech solutions you could ever need from smart TVs to Ipad docking stations and free fibre optic Wifi connections. Have drinks in the Lobby Lounge or grab an artisan sandwich, organic coffee or juice at the Turn Cafe with views over the famous Powell cable car turnaround. 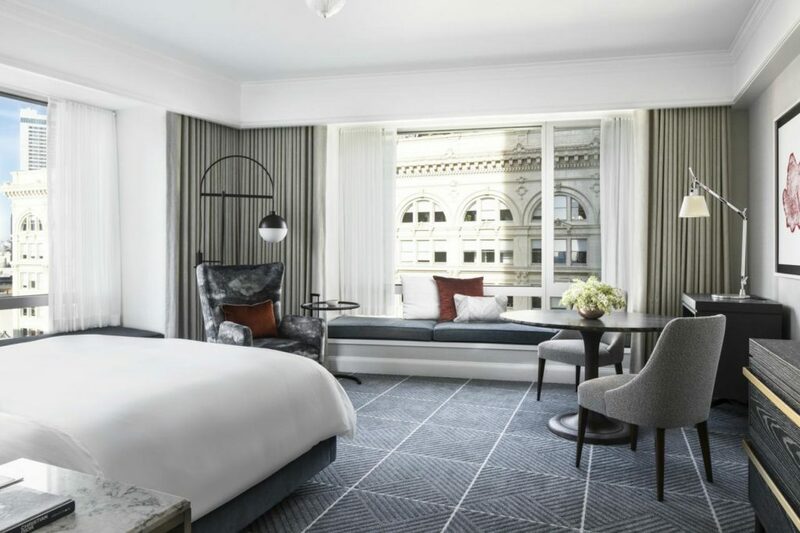 Taj Campton Place offers luxury stays in the middle of San Francisco, with an unbeatable location at Union Square. 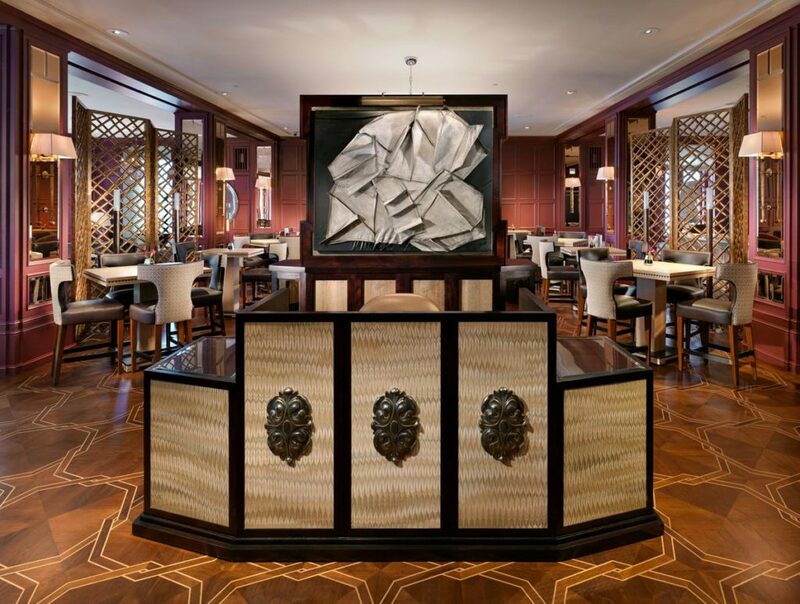 Dining at the Michelin-starred Campton Place Restaurant is an incomparable experience and one not to be missed, where you csn taste Californian-Indian fine dining fusion. 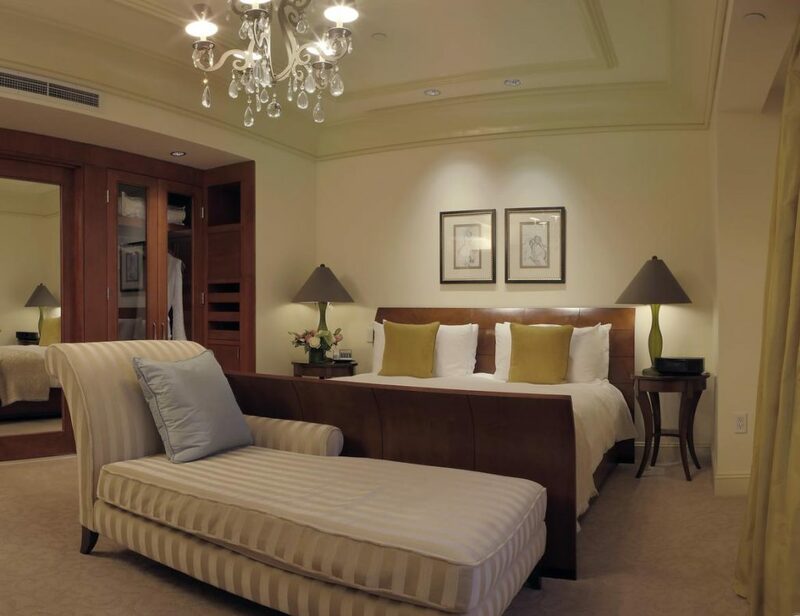 The spacious rooms and suites leave nothing to be desired offering stunning urban views and ultimate comfort – every need will be taken care of, from in-room Nespresso machines to large bathrooms with limestone baths and the softest bed linen and towels. Hotel Vitale is the city’s only luxury waterfront hotel, priding itself on being a Green Business. The staff at Hotel Vitale aim to boost guests’ wellbeing and health with a truly relaxing and stressfree experience. You can soak in rooftop tubs or take calming yoga classes at the penthouse Spa Vitale or just sip a coffee and be in the moment at the Americano Restaurant and Bar overlooking the Bay. Your furry friends are welcome too as this hotel is pet-friendly. still oozing the charm and ambience of past days with the luscious decor and the striking 1909 architecture. With a cable car stop right outside the entrance, you’ll have no trouble getting around the city with the Ritz as your base. The Ritz Carlton San Francisco is a top spot for weddings, celebrations and other functions with the Terrace Courtyard offering an exquisite setting and backdrop for photos. Home to L’Occitane Spa, refreshing massages, body and face treatments are available and rustic Californian-style food is served up at Parallel 37. 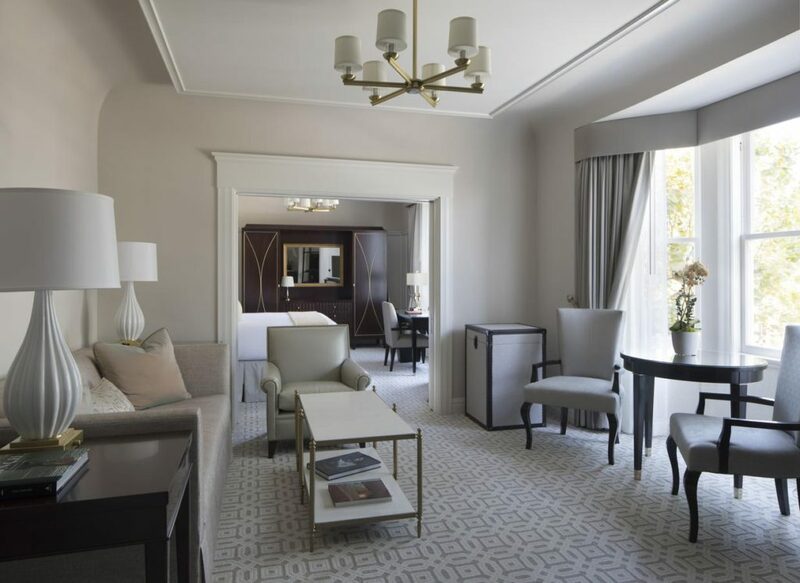 The rooms at the Four Seasons Hotel envelop you in the beauty and charm of the San Franciscan Bay Area, with a palette of blue, grey and white bringing to mind the fog over the sparkling ocean. 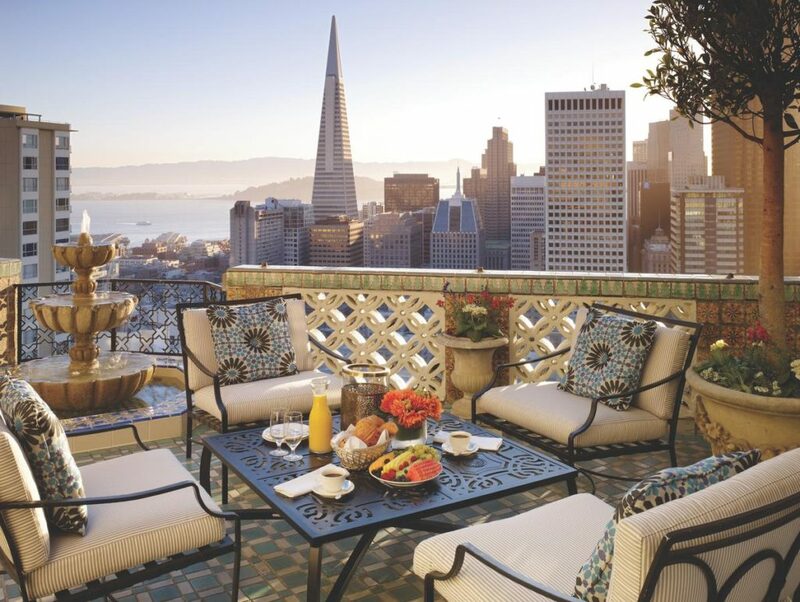 The Four Seasons Hotel is truly a sensuous oasis in the middle of busy San Francisco. Treat yourself to classic cocktails with a twist at the MKT Restaurant-Bar or take an exhilarating class in the superbly equipped fitness centre.